Goal / Objective - Together Time is time for a blended class and an instructional class to join together. The classes can be in a large or a small group activity that bring typically developing students and students with special needs together. This grant will allow for the purchase of materials for a wide variety of activities for approximately 28 students. It will enhance the success of time currently being spent integrating tuition based preschoolers and preschoolers identified as having special needs while developing math, reading, social/emotional, science and technology skills. Impact - During our buildings we read the stories “Three Little Pigs”, and “Three Billy Goats Gruff”. 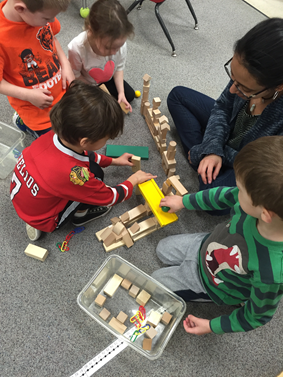 Our students worked together to plan and build sturdy homes, and bridges. 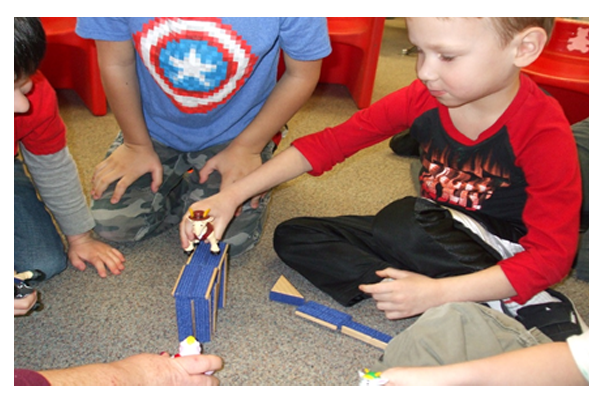 We tested our bridges to see if they could hold 3 Billy Goat characters, and roll a ball over the bridge. We made story maps to talk about the characters, setting, problem and solution to a story. We acted out the story using puppets and props. 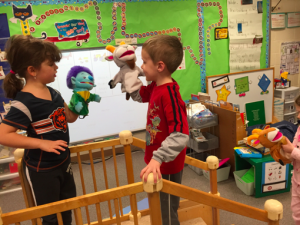 The children put on a puppet show for each other’s classrooms. 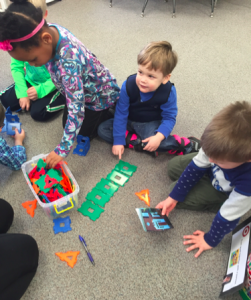 The students also used real photos of their own homes to work together with a partner to count the squares, rectangles, and triangles on their own homes and to build their homes. STEM approach to construct and build a bridge for the story The Three Billy Goats Gruff. 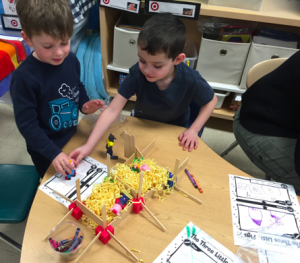 Along with targeting math, science, and engineering skills, peers were using language, communication and social skills as well to work cooperatively.